A tenometer that measures intraocular pressure; a system for calculating fluid resuscitation volume in burns patients; and a nasal balloon are among the new high-tech inventions that are the subject of newly-published Medtech Innovation Briefings. The National Institution for Health and Care Excellence (NICE) has published five new documents, which aim to support NHS and social care commissioners and staff who are considering using new medical devices and other medical technologies or diagnostic technologies. The information provided includes a description of the technology, how it’s used, and its potential role in the treatment pathway. NICE Medtech Innovation Briefings also include a review of relevant published evidence and the likely costs of using the technology, but they are not guidance and do not make any recommendations on the value of using the technologies. Whether or not to use the products described is entirely the choice of local staff. However, the briefings help to avoid the need for organisations to produce similar information, saving staff time, effort and resources. 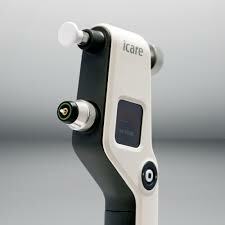 Icare rebound tenometer: This device is manufactured by Icare Finland and is a portable, hand-held tool used to measure intraocular pressure (IOP). It assesses the deceleration and rebound time of a small, lightweight probe, which makes brief contact with the cornea and can be used without local anaesthesia. There are four Icare models, all of which use the same rebound technology: Icare TA01i, Icare ic100, Icare PRO and Icare HOME. Each model has a built in adjustable forehead support and is supplied with single patient-use probes, a spare probe base and a container for cleaning the probe base. The probes are disposable and must be changed for each patient, but can be used for both eyes assuming there is no eye infection. The briefing states that Icare tonometers may be most useful in paediatric and community care settings. Mersey Burns for calculating fluid resuscitation volume when managing burns: Designed by Medicapps, Mersey Burns is a mobile application for use by clinicians in managing burn injuries caused by any means. It has been developed to calculate the percentage of the body surface area affected and the amount of replacement fluid required intravenously in the first 24 hours, to ensure the patient remains haemo-dynamically stable. It also calculates the additional intravenous background fluids needed by children younger than 16 years. Using this tool would would replace the need for manual calculations using the Lund and Browder chart or other methods. The Otovent nasal balloon for otitis media with effusion: Otovent is a balloon device designed to relieve the symptoms of otitis media with effusion, commonly known as glue ear. Manufactured by Abigo Medical, it consists of a nosepiece and five balloons, and costs the NHS £4.90. It is designed as a first line non surgical, drug free treatment option for glue ear during or after the period of active observation following diagnosis, to help avoid the need for surgery. The TactiCath Quartz catheter for percutaneous radiofrequency ablation in atrial fibrillation: TactiCath Quartz, manufactured by Endosense (now St Jude Medical), is a single-use cardiac ablation catheter with a deflectable distal section and a contact force sensor at the tip. It is used to treat cardiac arrhythmias, such as atrial fibrillation, by delivering radiofrequency energy during ablation procedures. It may also be used to map the electrical activity of the heart, pace or confirm electrical isolation. It would be used in people diagnosed with symptomatic atrial fibrillation when drug treatment has failed to control their symptoms, replaceing conventional radiofrequency ablation catheters without contact force sensing technology, which are typically used with a separate mapping catheter. ThermoCool MartTouch catheter for percutaneous radiofrequency ablation in atrial fibrillation: ThermoCool SmartTouch, from Biosense Webster, is a single-use cardiac ablation catheter with a deflectable distal section and a contact force sensor at the tip. It is used to treat cardiac arrhythmias, such as atrial fibrillation, by mapping the electrical activity of the heart, delivering radiofrequency energy during ablation procedures, and confirming electrical isolation. 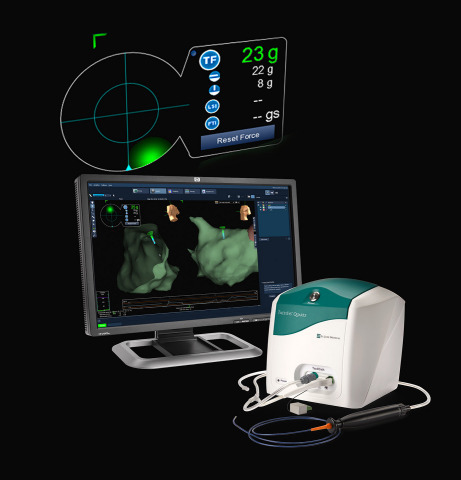 It differs from standard ablation catheters by providing a real-time measurement of the contact force applied by the catheter tip to the heart wall during the ablation procedure. NICE Medtech Innovation Briefings are commissioned by NHS England and produced in support of the NHS 5 Year Forward View, specifically as one of a number of steps that will accelerate innovation in new treatments and diagnostics. It’s hoped that this impartial information about innovative devices and diagnostics will help NHS and social care professionals, and buyers and commissioners of services and with their local decision-making. To access all briefings, click here.